SPECIES DIVERSITY GUARDIAN | gURROO - A new generation of innovative minds. In the VIRTUAL world, species DYING out? With the thought of the virtual world of earth coming to an end, human and all other species faced with extinction, we, as future architects, give our imaginational solution of such situation with virtual tools’ help. 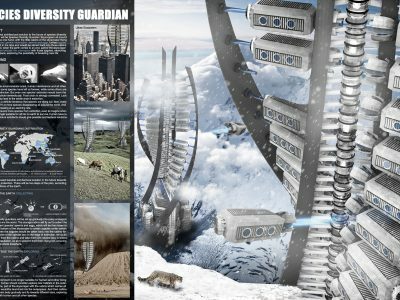 With imagination in the virtual world, we design this species guardian to bring DNA information of species on this planet to explore new homes, when earth is no longer suitable for living someday. 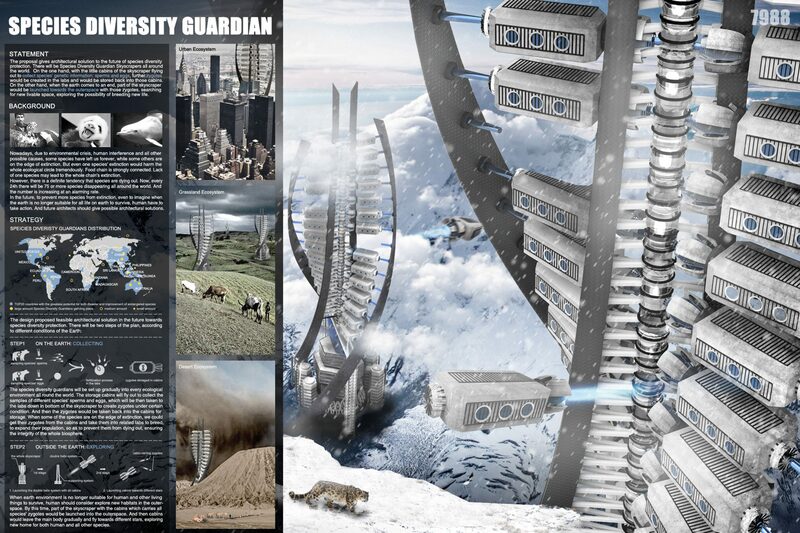 The species diversity guardians will be set up gradually into every ecological environment all round the world. 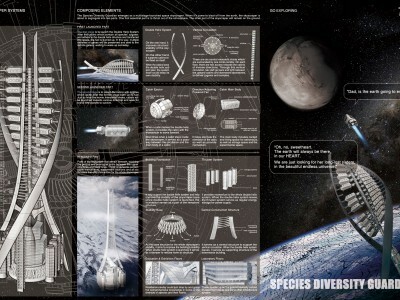 The storage cabins will fly out to collect the samples of different species’ sperms and eggs, which will be then taken to the labs down in bottom of the skyscraper to create zygotes under certain condition. And then the zygotes would be taken back into the cabins for storage. When some of the species are on the edge of extinction, we could get their zygotes from the cabins and take them into related labs to breed, to expand their population, so as to prevent them from dying out, ensuring the integrity of the whole biosphere. When earth environment is no longer suitable for human and other living things to survive, human should consider explore new habitats in the outerspace. 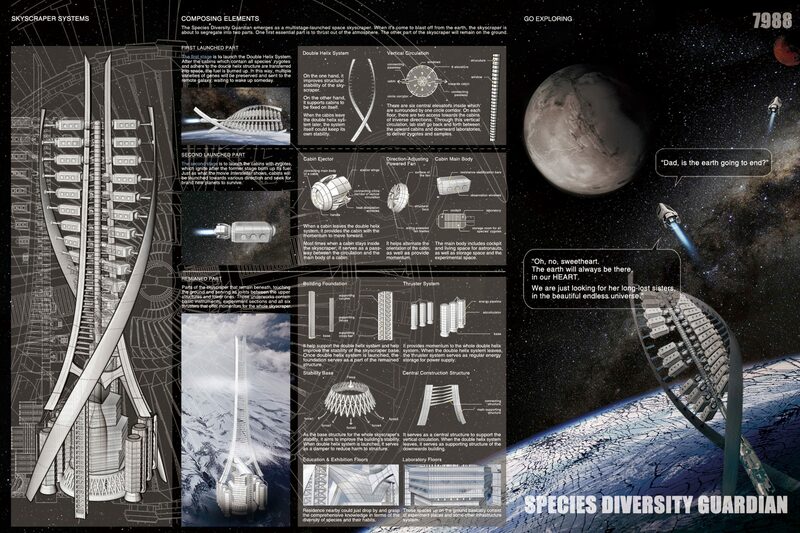 By this time, part of the skyscraper with the cabins which carries all species’ zygotes would be launched into the outerspace. And then cabins would leave the main body gradually and fly towards different stars, exploring new home for both human and all other species.